Nominee must have completed a minimum of two years in a management position with LHC Group or Almost Family. Nominee must have direct reports. 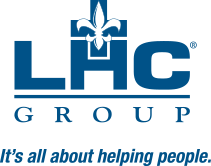 Nominee must consistently model LHC Group’s values. Nominee must demonstrate creativity and innovation. Nominee must demonstrate and model LHC Group’s standards of behavior. All nominations for Servant Leader of the Year must be completed in writing by submitting this form. All boxes should be completed according to the instructions listed below. The deadline for submissions is January 20. Thank you for your support of our Servant Leader of the Year program.